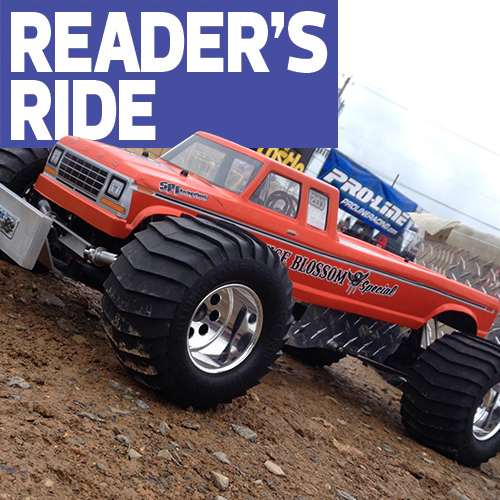 This week’s Reader’s Ride is the 2014 Brushless/Unlimited 1/8-scale pulling champ of the No Limit RC World Finals. Travis Mowery and his father built this custom Frankenstein which pulls over 200 pounds with ease. 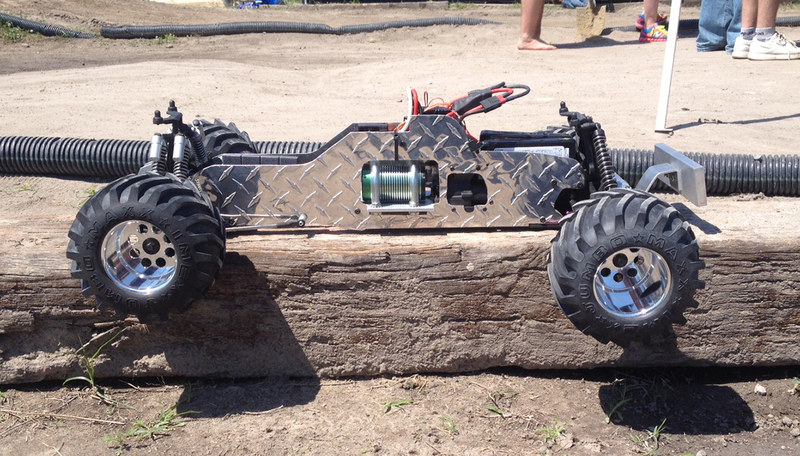 This creation started as an HPI Savage Flux but uses custom chassis plates and a custom motor mount. The steering stabilizers, rear shock stabilizers and weight box are also one-of-a-kind Mowery creations. 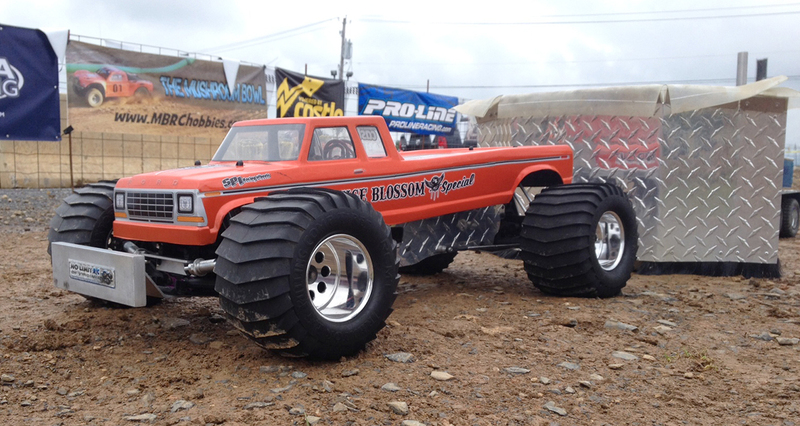 Since no shell exists to accommodate the chassis specs, they fastened a custom body out of an HPI 1979 Ford Savage XL body with fiberglass spliced into the mix to add the extra length. All of this pulling power is provided by a Castle Creations 1717 brushless motor system, Mamba Monster Speed Control, and dual 5000mAh 50C Venom LiPo battery packs.